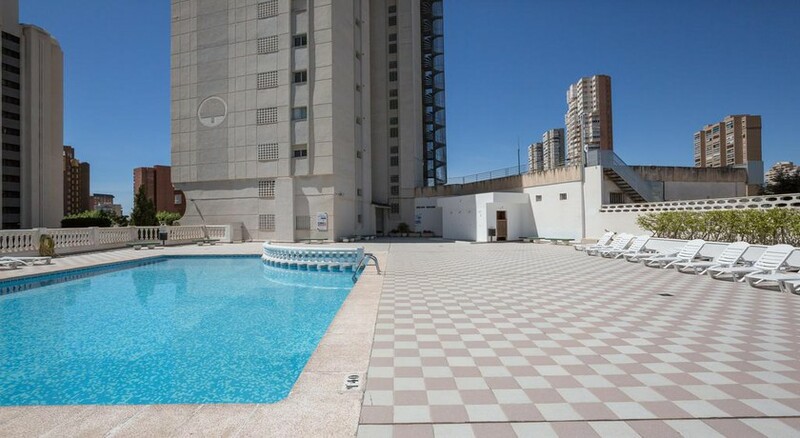 The Residence Pierre et Vacances Benidorm Levante is a 20-storeys high luxury hotel, in the heart of Benidorm. 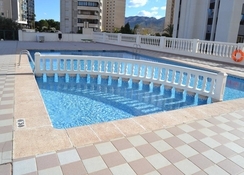 Benidorm, with its warm, salubrious climate on the Mediterranean coast, is an all-weather beach resort. Its excellent scenic beaches, delicious gastronomy, varied cultural options and exciting activities makes it a top choice among travellers and those travelling with family. 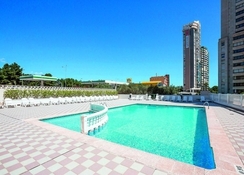 The pretty beach at Levante is 1.1km from the property, and the city centre is a short walk away at 650m. Offering stylish air-conditioned apartments furnished with flat-screen satellite TVs, an open-plan living room with a dining table and sofa bed, the hotel promises a comfortable stay that fells like home. Lovely private balconies in the rooms offer magnificent views of the sea and surroundings. A lovely outdoor pool, bicycles for hire, as well as a ticket service and tour desk complement the facilities. Home to lovely harbours, old towns, churches and castles this resort is bustling with a laidback vibe in its many sea-facing cafés and restaurants. Visit the exquisite Poniente and Lavante beaches, the last stretching almost over 2km or just stroll along the town’s promenade, there’s a lot to see and do in Benidorm. This multi-story hotel is nestled in a lively neighbourhood with numerous bars and restaurants. 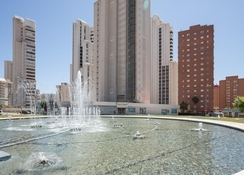 The Poniente Beach is 4km from the hotel, while the Aiguera Park is 1.1km. The Alicante Airport is about 60km from the property. Most of the town is good to explore on foot or with a bike hired from the hotel. 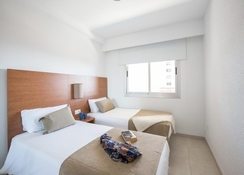 The airy apartments at Residence Pierre et Vacances Benidorm Levante come in categories of standard, one-bedroom and two-bedroom, which can accommodate four and six guests respectively. A crib for children is available on request. The air-conditioned rooms in contemporary décor come with a private balcony, fully equipped kitchen, large screen satellite TVs, towels, cleaning kits and free Wi-Fi. Flexible check-in and check-out facilities are available for those guests who stay a minimum of seven nights. The apartments have cleaning services at the end of stay. 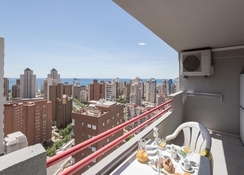 The apartments at Residence Pierre et Vacances Benidorm Levante are equipped with a fully equipped kitchen to enable guests to cook their own meals. The hotel neighbourhood has quite a few popular bars and restaurants which the guests can explore. 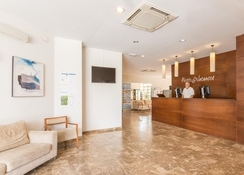 The Residence Pierre et Vacances Benidorm Levante has a lovely outdoor pool and the beach is just hundred metres away for guests to relax in. Free Wi-Fi is available across the property. The hotel can arrange Snorkelling, Diving, Windsurfing and Hiking (charges apply). Cars and Bikes are available for hire.